An 1890 re-organization placed the parish in the "Grantham North" sub-district of the Grantham Registration District. 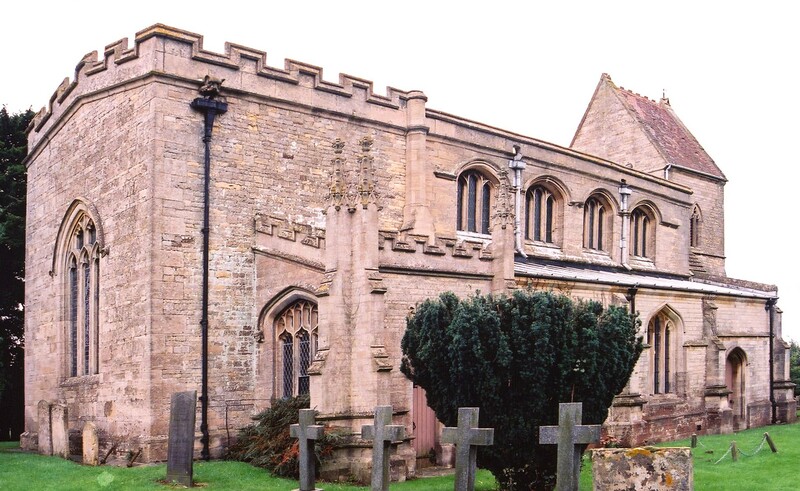 You can also perform a more selective search for churches in the Londonthorpe area or see them printed on a map. The Anglican parish church is dedicated to Saint John the Baptist and is built of stone. The interior was restored and reseated in 1879. The church has its own web site with photographs and information. Parish registers reportedly exist from 1539. Bishop's Transcripts exist from 1562 through 1813. The LFHS has published several marriage and burial indexes for the Grantham Deanery to make your search easier. The Wesleyan Methodists had a small chapel built here in 1838 and enlarged in 1889. Check our Non-Conformist Church Records page for additional resources. Londonthorpe is both a small village and a large parish. The parish is about 110 miles north of London and lies about three miles east of Grantham along the old Ermine Street (now the B6403). The parish itself is bounded on the north by Belton parish, to the east by Welby parish, west by Grantham, and to the south by Somerby parish. The parish covers about 1,710 acres. It is probably easiest to take the A52 east out of Grantham, then north on the B6403 about three miles brings you to Londonthorpe on the west side of the road. Ask for a calculation of the distance from Londonthorpe to another place. You can see the administrative areas in which Londonthorpe has been placed at times in the past. Select one to see a link to a map of that particular area. In 1871, nearly all of the parish was held by Earl BROWNLOW. In 1913, the greater part of the parish was held by Earl BROWNLOW. For a photograph of the Londonthorpe War Memorial and the names on it, see the Roll of Honour site. The name derives from the Old Scandinavian lundr+thorp, meaning "outlying farmstead or hamlet by a grove". It appears as Lundertorp in the 1086 Domesday Book. You will find more recent spellings both with and without the final "e", and also split into "London Thorpe," etc. White's 1872 Directory lists the following surnames in the parish: BRAKENBURY, BRETT, GIBSON, GOODSON, HARVEY, NIXON, PALMER, ROSS, WATSON and WHITE. Kelley's 1900 Directory lists the following surnames in the parish: BAXTER, BRETT, BURTON, CLARK, FARBON, HARVEY, LLYOD, ROSS, WATSON and WHITE. Kelley's 1913 Directory lists the following surnames in the parish: BAKER, BAXTER, BURTON, CHAMBERS, FARBON, LYNN, PAWLETT, POOLE, WADSLEY and WILSON. 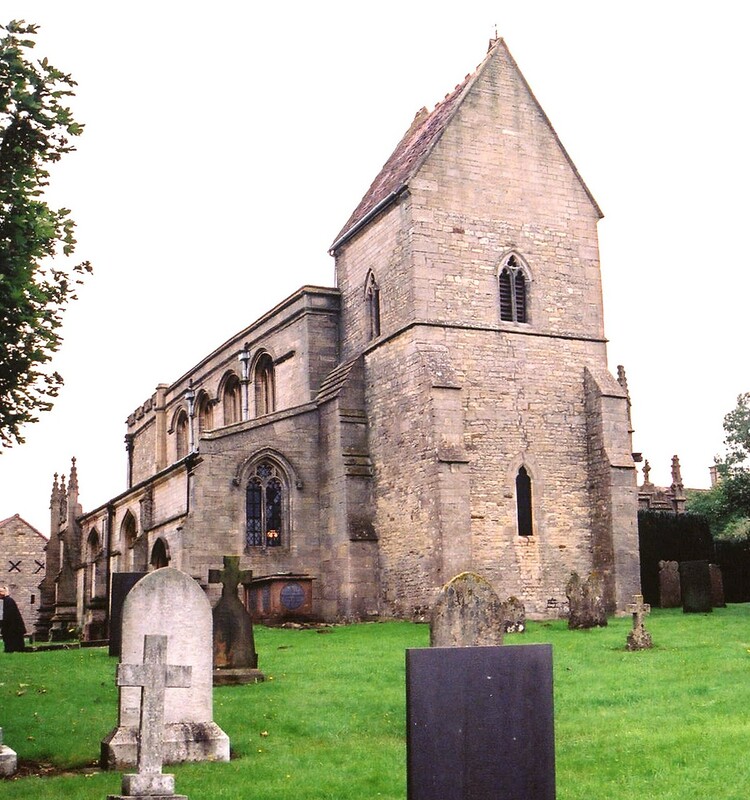 The parish was in the ancient Loveden Wapentake in the South Kesteven district in the parts of Kesteven. In April, 1931, this Civil Parish was abolished and merged with Harrowby Without Civil parish. The local parish governance is handled by the Londonthorpe and Harrowby Without Council. Note: They are NOT staffed to answer family history questions. As a result of the 1834 Poor Law Amendment Act, the parish became part of the Grantham Poor Law Union in 1837. A Public Elementary School was built here in 1851 and enlarged in 1876. In 1913 it was attended by 35 children.